Companies dealing with fittings used in sanitation are devoting more research and development resources to manufacturing faucets. The points of innovation can be related to design, looks and function of these faucets. 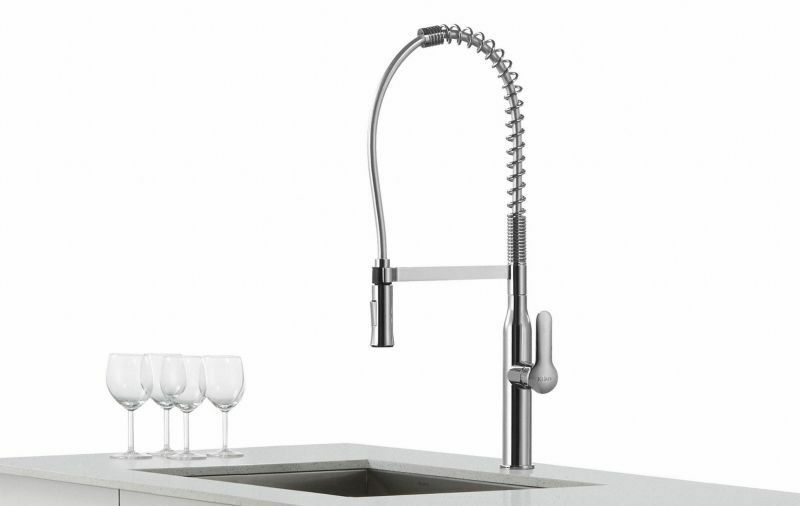 Most households are concentrating on installing stylish kitchen faucets. 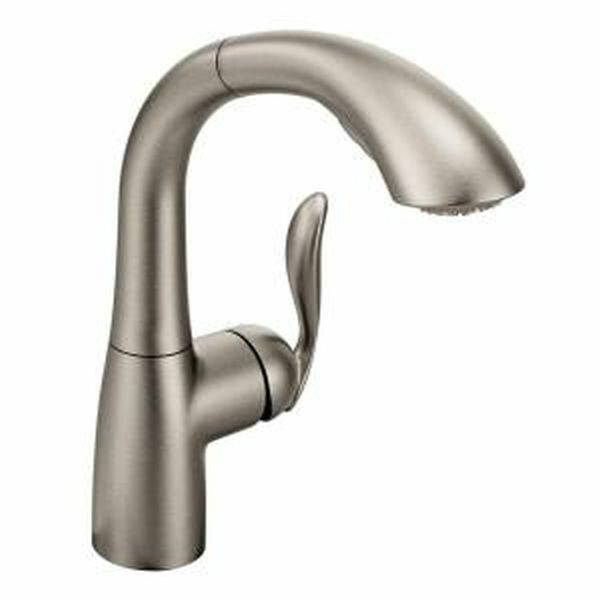 These faucets have a lot of abilities that people look for in a modern kitchen faucet 2018. Pull-down faucets: These kinds of faucets have detachable spray heads, fitted onto a tall neck. Apparently these type are the most balanced and versatile of the lot. Pull-out faucets: Realistically speaking, these faucets function like pull-down faucets. But pull-up faucets are smaller and more appropriate for kitchens with less space. Commercial style faucet: These are the most common faucets to be used in commercial buildings. Two handle: These faucets have two caps, each of which has a different function. That is, one dispenses hot and the other cool water. Hands-free: These faucets are fitted with sensors that get activated when the hands are in close proximity. Then they dispense water. These are also mostly used for commercial purposes. The finish of the faucet: Whether it is textured or glossy or has designs all over it. Head docking: The direction in which the head of the faucet twists (pull out/ down). c. Whether it has spray modes. d. Whether it is supplied with anti-leak valves. Design: The design should be such that it complements the existing utilities of your kitchen. Luxury kitchen faucets are available for such a purpose. 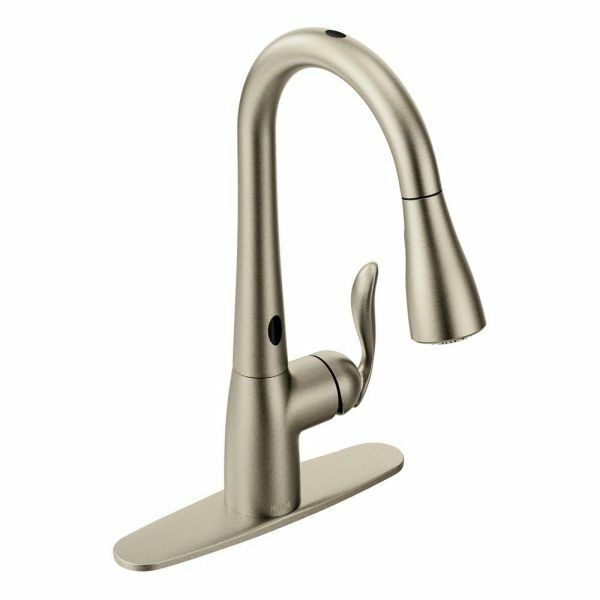 This was picked as the best faucet to purchase in 2018. This model comes with features such as the Touch20 technology that automatically turns it on and switches it off. It switches off automatically after running for four minutes. An LED light indicates whether the water is hot or not. It comes in the form of a spray wand with two modes for spraying. The ShieldSpray technology developed by Delta prevents 90% of the water from splattering. This is the best kitchen faucet without touch facilities among the modern kitchen faucet 2018. It has a seamless and delicate design that can fit into both modern and vintage kitchens. Moen’s MotionSense technology provides sensors that can be activated without touching the faucet itself. Both adjusting the faucet as well as the temperature while in use is another added benefit. It also comes with a long hose attached. The only con is that the price is a bit high. It looks quite unsightly to see a huge faucet on a small wash basin and vice-versa. This faucet is best for being used on a huge trenta sink. But the faucet is quite tall and slim in its design and comes with a two spray modes. It is also lead-free and has a cartridge made of durable ceramic. This comes at a very affordable price and is NSF certified. 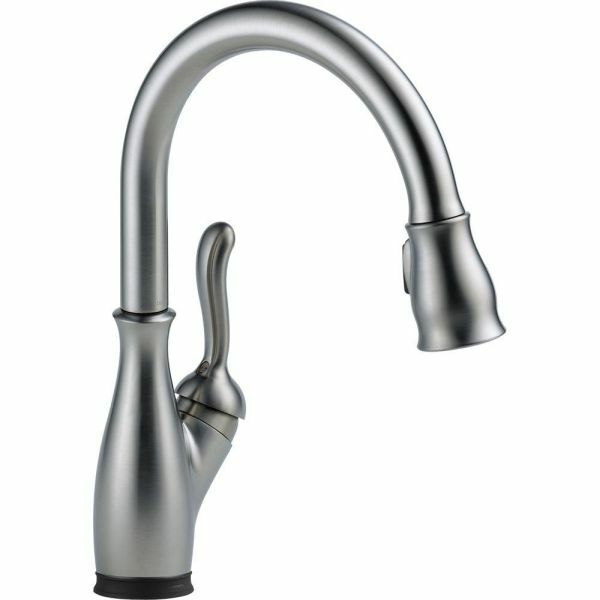 Overall, this is one of the best pull out kitchen faucets 2018. It looks identical to the pull-down version of the Moen MotionSense. The only difference being that it has a shorter neck. It has a braided hose, which is extendable and self-retracting. It also comes with PowerSense technology which regulates the power of the spray jet. This can also be installed in less than half-an-hour! 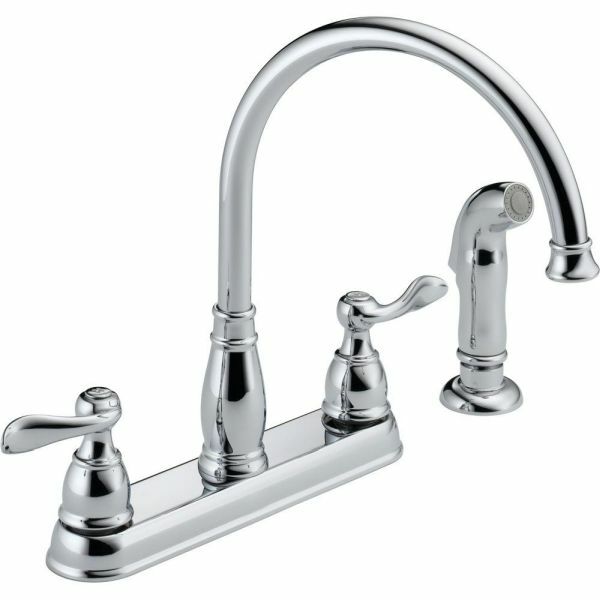 Hence it maintains its reputation as one of the best pull out kitchen faucets 2018. This is one of the best classic faucets among the modern kitchen faucets 2018. If you plan to opt for luxury kitchen faucets without going for something fancy, this is your best option. This kind of faucet has two regulating handles on two sides fitted with another sprayer that can be pulled out. The style can jazz up any high-end kitchen. It comes in three types of finishes. Although it entails the cheapest cost, compared to its competitors, it might be prone to leaking.